“Round here we get high on that Cascade Blue / start throwing them back when there ain't much to do/ everyone round here knows my last name/ yeah it's written on the road sign and written on the gate.” - Ain't Seen It Yet - Nick Wolfe-Tom Wolfe-Brodie Rainbird-Erik Dylan. When the Tasmanian Tourist Bureau searches for a new musical promotional vehicle it has a surefire winner in its Deep South. 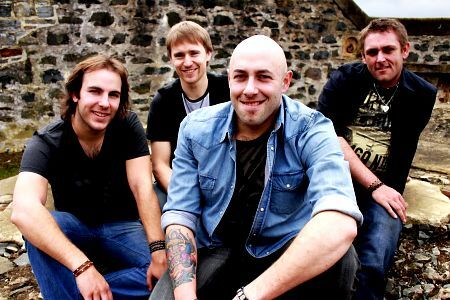 The chart topping Wolfe Brothers have it all covered in a song and video for latest single Ain't Seen It Yet. There, in cinematic splendour, is the trio performing on the family berry farm at Neika - population 217 without counting livestock. “Yes, we're open to helping promote our home state and berry farm,” bassist Tom Wolfe, 28, told Capita l News and Nu Country TV on his elder brother and fellow singer-songwriter Nick's wedding day. The Bureau may not have filmed the wedding of Nick, 33, but band benefactor - 2008 Australian of the Year Lee Kernaghan OAM - was a guest. 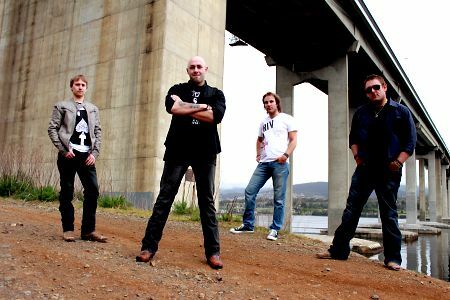 Kernaghan, who gave The Wolfe Brothers their break as support act and backing band in 2012 after they played Australia's Got Talent, joins them on some dates on their tour to promote fourth album Country Heart. Releasing Ain't Seen It Yet , with a vivid video, as first single was smart marketing. It shot the album into the ARIA Top Ten charts and triggered an avalanche of customers to the Wolfe Brothers Berry Farm - Fairy Glen. When not touring and recording Tom and Nick work on their fourth generation island in the mainstream that was bought in 1899 by their great grandfather. Despite the 2016 death of Tom and Nick's drummer dad Malcolm the family defied encroachment of neighbouring houses in the fields to keep growing and selling berries. Their family farming and musical longevity has not gone unnoticed on the mainland - it was featured on ABC-TV show Landline. It depicted Nick and Tom's mum Leigh and Uncle Tony keeping the fruit fertilised and healthy while the band, featuring original guitarist Brodie Rainbird, kept the dingoes from the door with a different style of picking. They name-checked local beer Cascade Blue in Ain't Seen It Yet , written in Nashville with fourth generation Kansas farmer Erik Dylan, and are open to brewery sponsorship. “The door is always open, we have reached out to them and would hopefully love to do something together with them,” Tom confessed. Although they reference Cabernet in another new song Storm Rolling In there are no plans to revert to planting grape vines among their raspberries, black currents, red currents, gooseberries, loganberries, josterberries and Kentish Cherries. “There's probably a lot more work than what we need at the moment. Dad tried that once but it didn't work out,” Tom confessed. “Is it your first beer or your first car/ old war stories from your grandpa/ is it your first love or your first date/ stealing a kiss up on the tailgate.” - Country Heart - Nick Wolfe. The band injects songs with product names diverse as Chevrolet, Ford, John Deere, Goodyear and Detroit Steel . They reference grand-father Ernie's 1968 Ford, featured in the video for Ain't See It Yet , and his war stories in their next single Country Heart . “We like mentioning that stuff because it's real and it helps paint a picture within a song,” Tom explained. So who created the Wolfe Family Orchestra that dated back to days of yore in vaudeville small town hall shows? “Grand-dad Ernie Wolfe had this orchestra and bus he would take to bookings in halls down in Franklin and the Huon Valley,” Tom revealed. The Wolfe Brothers connection to their piece of paradise began when Nick and Tom's great-great grandfather bought a nearby farm in 1870. “It's literally just over the valley from where I am now,” Tom explained. The march of progress is unlikely to pick the young Wolfe generation as foot soldiers for sub division. “We have no desire to sell this place, it's who we are,” Tom added. “This is God's country. We come back here from touring. There were once a lot of apple orchards and a lot of dairy farms here. We're one of the oldest families to continually own farms in Tasmania. A mate now has the last dairy in district. When we were growing up there were no houses around here. This is sad, my dad and uncle got this from Ernie Wolfe - their father. They worked really bloody hard in their lives to keep this property what it is - a beautiful place. “Hey brother, I know it ain't right/ when you got back from over there/ you shouldn't have to fight/ and you mother called me yesterday/ she's worried sick about you man.” - Hey Brother - Nick Wolfe-Tom Wolfe-Brodie Rainbird-Jordan Brooker- Smith Ahnquist. But it was a different battle after the still volatile Korea war that inspired another new song Hey Brother. “We did the Spirit Of The Anzac tour with Lee Kernaghan and were amazed with some of the veterans we got to meet and the hard times they were having,” Tom recalled. The Wolfe Brothers employed salient sequencing on their album, produced by Matt Fell, and successor to This Crazy Life that they recorded in Nashville with Luke Wooten and a cameo by Brad Paisley. The first four tunes celebrate home and segue into love songs, Starts With A Girl, No Sad Song and We Got Close. It finishes with another trio of bush requiems We Ain't Going Nowhere, We Got Wheels and Tail Lights. Tom and Nick personalised their romance into credible love songs. “We've had relationships that have been great,” Tom confessed of songs like Starts With A Girl and Tail Lights. Although the band has not referenced Pumpkin soup or Tinder in their lyrics they have faith in romance. “We have never questioned whether we should be together or not,” Tom revealed of his multi-talented wife. So you may wonder about the professional career of Nick's wife. “She worked for Elders and Tasmania Racing and is now working for TasRail ,” Tom added. In days of yore I spent two teenage years of my cadetship in the Launceston Examiner HQ before being sent to run the Burnie bureau. But I escaped to the Albury Border Morning Mail in early 1969 after a reference from former Burnie Advocate reporter Sam Simpson who covered the court case of a local larrikin charged with assaulting this writer and flat-mate - 7BU disc jockey Rod Stone. This reporter and Stone had earlier been threatened by our assailant while attending a social at the Burnie Nurses Home. But, with journalistic foresight we advised the nurses to alert the local police before our departure to avoid our return as patients. With impeccable timing the police arrived and made a quick arrest after we ducked and weaved as our attacker's fists left their indelible marks on our heads and upper body. Stone later worked on 4KQ during its country reign and programmed Melbourne country station 3UZ before it got the trots and gallops as 927 AM. My sin was to write a story about local gangs who blocked an ambulance with patients on board by brawling on the highway between Devonport and Burnie. It may have elevated my profile but precluded me from visiting the Neika post office that closed in 1969. Residents may have to travel further to post their mail but the Wolfe Brothers keep the home fires burning with little danger of Tom being mistaken for his recently deceased novelist namesake. 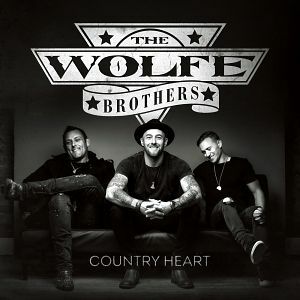 Wolfe Brothers Country Heart (ABC Music-Universal ) was released in March. FIST NOTE - the Burnie bruiser charged with dual assault was named Berry and fined $25 for each assault.